Following the launch of the Gozitan boutique hotel franchise in 2014, Quaint Hotels have been been featured in online press outlets internationally, where they garnered praise for their amenities, style, comfort, and affordability. 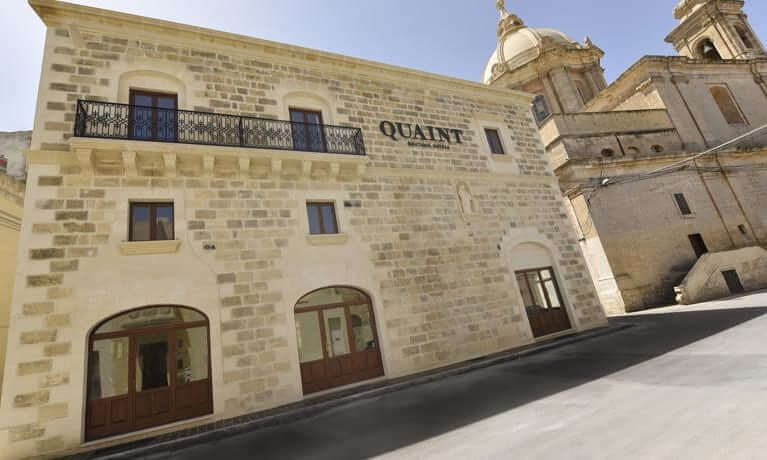 In July 2016, Quaint Hotel Nadur, the first location of the chain to open its doors, made it to the Guardian’s best new affordable boutique hotels in Europe and was the only establishment in Malta to be included on the list. The Guardian’s review of Quaint Hotel Nadur highlighted its central location in the Gozitan village of Nadur, as well as its unique aesthetics featuring a 19th-century exterior that is complemented by a slick and contemporary interior. Quaint Hotel Nadur was mentioned in the UK press a second time when it featured prominently on a list compiled by a The Telegraph’s destination expert of the top 10 boutique hotels around Malta and Gozo. The list sought to give an insider’s guide to travellers looking to book a room at the best boutique hotels that Malta and Gozo have to offer. Quaint Hotel Nadur obtained a 7/10 rating and was highly praised for its ultra-modern, minimalist interior design, which lends the place an urban feel despite its village setting. Special mentions were also made of the “helpful and friendly” staff who run the hotel, as well as the family-friendly environment, and convenient proximity to Gozo’s best beaches and tourist attractions. Discover more about Quaint Boutique Hotels in Gozo at quainthotelsgozo.com.